Professional Service at an Exceptional Value! 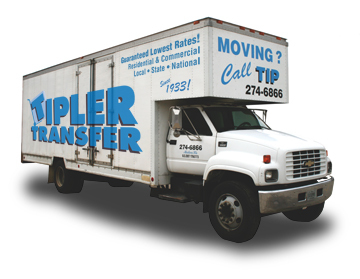 Our experience with Tipler Transfer was excellent. The price was reasonable and the service was great! The people at Tipler made our move as stress free as possible. We did our move in two trips and had the company hold the truck overnight. Both days, the movers arrived on time (actually early on the first day!) and worked quickly...I would definitely use this moving service again and recommend it to anyone looking for movers. We'd be happy to give you an estimate or answer any questions you may have.